Route 66 Rottweiler Klub – a full member club of the Rottweiler Klub of North America Inc.
Route 66 Rottweiler Klub is a full member club of the Rottweiler Klub of North America Inc. Our events are held in Pontiac, Illinois. Entries are now OPEN for our summer shows! 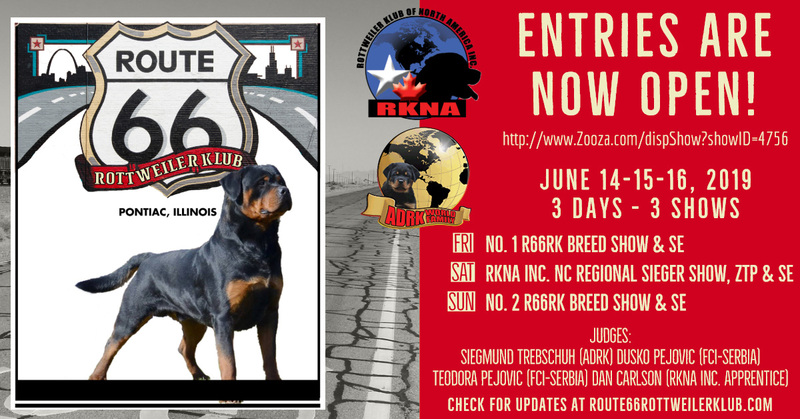 Visit our page at Zooza.com for more information, online entries, online donations, premium list and more! We’ll be updating there, here, and on our Facebook page as the show date gets closer. Check back here soon if you’d prefer to do your donations or advertising payments via PayPal. 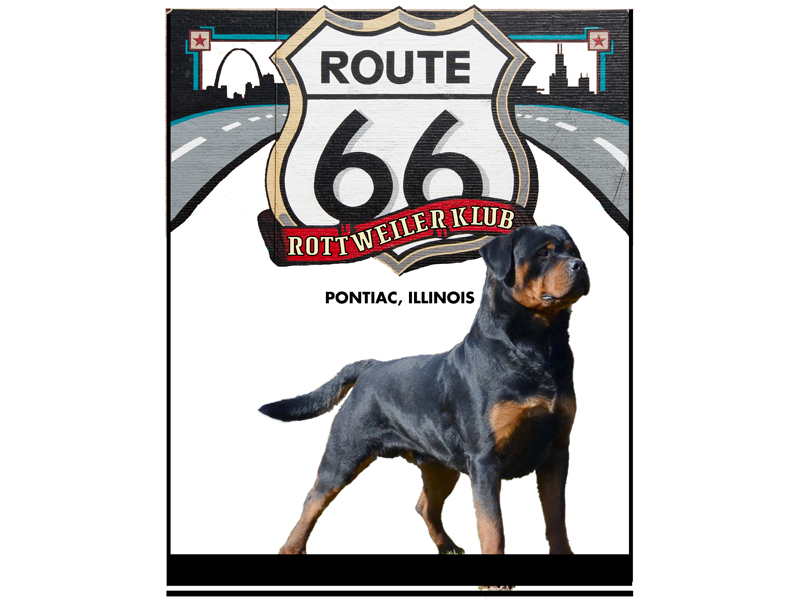 Check back often for updated information on our 2019 events.